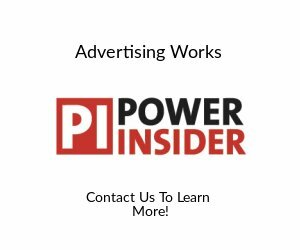 On 29 July 2016 an International Chamber of Commerce Arbitral Tribunal issued a final award confirming that the Italian electro-mechanical company Ansaldo Energia (AEN), one of the major international power plant producers, has unlimited rights to use Siemens technology for heavy duty gas turbines. The arbitral award is a landmark decision for the heavy duty gas turbine market. It will preserve more innovation and competitiveness in the global market for a technology vital to meeting climate change goals. It notably strengthens AEN’s worldwide position in such market and dwarfs Siemens’ efforts to limit further strong competition by AEN and its cooperation partners. The dispute was about the Siemens heavy gas turbines technology which Siemens had licensed to AEN under a license agreement running until October 2004. Thereafter the parties had agreed that AEN could continue to use and improve such Siemens technology “without any future limitation”. Yet, when in May 2014 AEN announced its cooperation agreements with Shanghai Electric Group (China) and Doosan Heavy Industries (S-Korea) to enter first the most relevant Asian markets and thereafter distribute innovative gas turbines worldwide, Siemens claimed that it could immediately terminate all of AEN’s rights to use the Siemens technology and started arbitration proceedings against AEN. Siemens claimed that if the Arbitral Tribunal would not stop AEN’s cooperation activities, these activities would destroy substantial parts of Siemens’ gas turbine business. Siemens also stated that AEN’s technical cooperation with its Asian partner would seriously and irreparably harm Siemens’ position in the market. The ICC Arbitral Tribunal composed of German and Swiss legal experts, however, dismissed all claims of Siemens and expressly stated that AEN is free to use the formerly licensed Siemens technology worldwide without any limitations and to freely sub-license such technology to third parties including the right to sub-license the relevant patents. The Arbitral Tribunal condemned Siemens to pay AEN US$ 490,000 in arbitration costs plus EUR 2,584,860.51 in party costs. In addition, the Arbitral Tribunal also made clear that AEN would be free to start new arbitral proceedings against Siemens if it would turn out that Siemens wrongly informed third parties about AEN’s rights thereby causing damage to AEN. The arbitral award will reinforce competition in an already tight market. Presently, AEN is one of the few independent technological players in the gas turbine market, as recently confirmed by the EU Commission in the context of AEN’s acquisition of the Alstom advanced heavy duty gas turbine business where the EU Commission highlighted AEN’s “proven expertise, ability and incentive”. 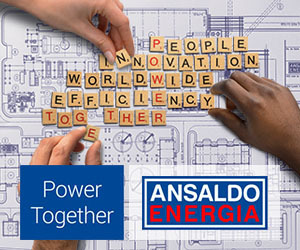 Ansaldo Energia is Italy’s largest supplier, installer and service provider for power generation plants and components and one of the global leading players in the sector. Owned by the Italian state-owned CdP Equity SpA (45%) and by Shanghai Electric Corporation (40%) and with an installed capacity of about 220 GW in 90 countries, Ansaldo Energia is committed to provide customers with value based, innovative and reliable solutions through its own proprietary technologies for power plant and components.